Record-breaking sailor Dee Caffari will officially launch the new Gosport & Fareham Inshore Rescue Service (GAFIRS) lifeboat tomorrow. The naming ceremony will take place at Gosport Lifeboat Station at Stokes Bay, Gosport at 2pm on Saturday, June 18. GAFIRS patron Dee Caffari will be joined by the mayors of Gosport Borough Council and Fareham Borough Council, as well as Roy West, a close family friend of Brian and Joan Fuller, who bequeathed the money to GAFIRS, for the ceremony. The new boat is a 9m long Delta RIB and features two V8 diesel engines producing 320bhp each. 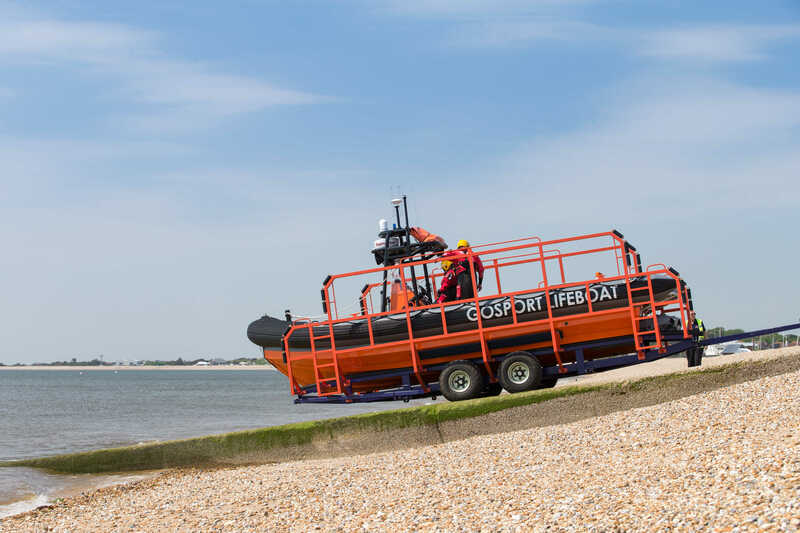 Capable of 43 knots, the new Gosport Lifeboat features a host of advanced lifesaving technology, including thermal imaging camera, VHF direction-finding device and advanced medical kit. It is thought to be one of the fastest lifeboats in the UK. GAFIRS chairman Keith Thomas said: ‘We were in a privileged position of having received a significant bequest that was ring-fenced for the purchase of this new lifeboat. The tender process for the new boat took six months followed by a detailed design and build phase that took a year. Vice chairman Steve Ray, who led the new lifeboat project, added: ‘The boat was specified based on GAFIRS’ 40-plus years’ experience, as well as after lengthy discussions with other lifeboats organisations. GAFIRS is one of the busiest independent lifeboat stations in the UK and last year attended 99 emergencies. The service’s patch includes the eastern Solent and Portsmouth Harbour. Members of the public are welcome to attend the naming ceremony which starts at 2pm on Saturday, June 18.